Hand-made Celtic Colours crest pewter pendant. 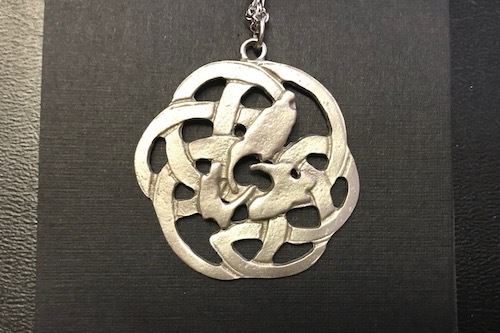 Crafted on Cape Breton Island By Piper Pewter. $9.99 flat rate shipping for all orders to Canada & USA.